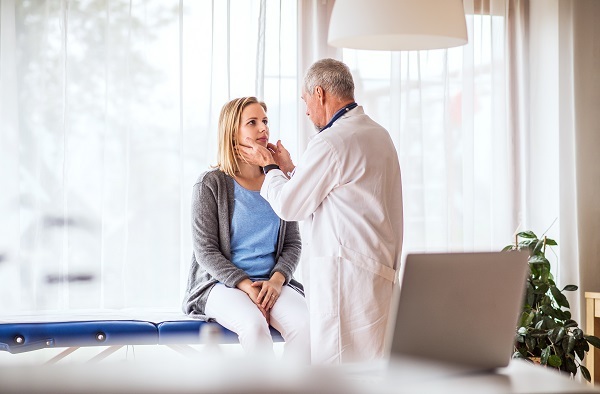 Sore throats are among the most common side effects of cold winter months, bringing on irritation, swelling, and throat inflammation caused by particular microbes infecting the windpipe. When you start feeling that likely familiar irritation, it helps to have something on hand to help soothe the pain, including both traditional, OTC medicine as well as something more natural like raw honey. All it takes to make the most of raw honey’s many benefits is throwing together a few homemade remedies along with several other natural, relatively inexpensive components. Raw honey that’s been mixed with lukewarm water can help to pacify sore throats. To get the best results, drink the mixture twice per day in the morning and at night. While milk is also known for thickening phlegm (and thus must be consumed in controlled quantities), milk can help soothe the scratchy abrasions of sore throats. To use, add one tablespoon of raw honey to one cup of milk (preferably warm). Add a little bit of turmeric, mixing everything well and drinking before you shut your eyes for the night. The turmeric can fight the microbes causing your sore throat, as it’s antimicrobial and antiseptic in nature. You can also use the turmeric itself with lemon juice and warm water to help treat your sore throat. Apple cider vinegar can kill both bacteria and germs while also lining the throat with protective coating. Mix together a tablespoon of apple cider vinegar and a tablespoon of raw Manuka honey with warm water before drinking it all down. A simple honey tea consists of one tablespoon of raw honey, a 1/2 teaspoon of ground cinnamon, a 1/2 teaspoon of ground ginger, and a 1/4 teaspoon of cayenne pepper mixed in with hot water. Drink this honey tea before heading to bed, and it should help relieve your sore throat. Because it is anti-inflammatory in its nature, cinnamon releases mucus while also lessening inflammation and swelling. Add ground cinnamon as well as some ground ginger into one cup of warm milk before adding roughly a ½ tablespoon of raw honey. Then, drink the mixture down until your throat clears up. Cayenne pepper can allegedly help to prevent pain signals from being received by the brain, so take a very small amount of cayenne pepper oil and mix it with a teaspoon of raw honey. You should probably wait until the pain from your sore throat becomes too much to bear, and it’s also best to not give this concoction to children under one year of age. Need to order some raw honey to try these home remedies? To get your order started, click here. And remember, we offer FREE shipping on all orders of $150 or more.